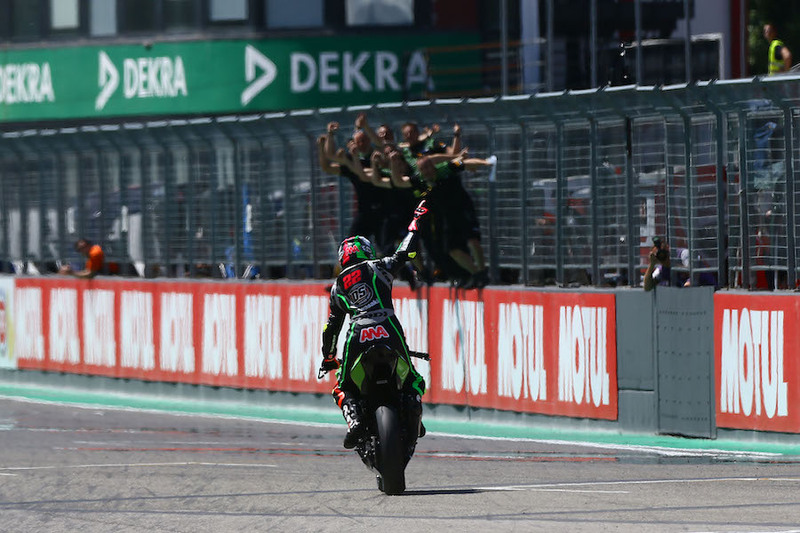 When Ana Carrasco crossed the finish line at Many Cours in September she made history by becoming the first ever female to win a non-gendered FIM World Championship. Bet many of you thought you would never see a female World Champion, no matter how small the bikes got? Bet many of you always thought that there would be at least one bloke with just too much in the strength-per-kilo department to have a woman win a full world championship? But we only had to wait to 2018 to witness Ana Carrasco make the best of a year laden with rule changes, fortune changes and unwavering points-scoring consistency when it counted. 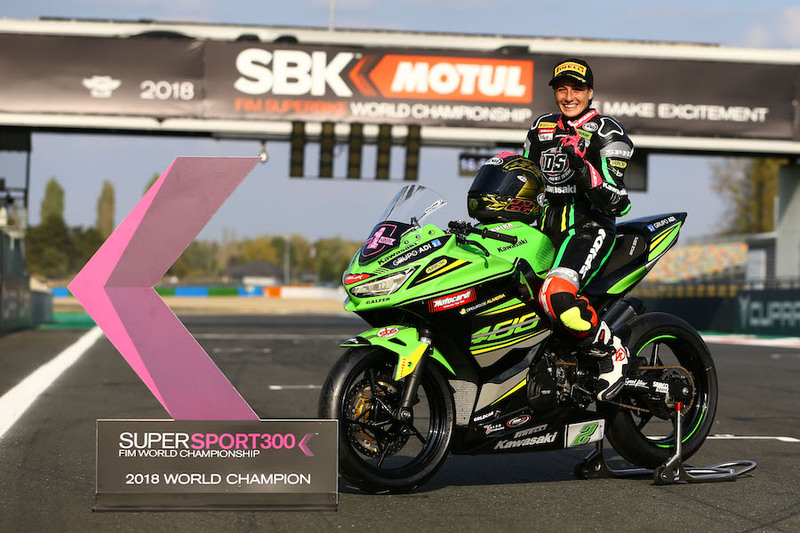 The diminutive Ana reached a pinnacle that no other woman had ever reached before in winning the WorldSSP300 FIM World Championship for her DS Racing Junior Kawasaki team. And it was a damn close-run thing. It was a pinnacle that she wanted to reach as a rider first and foremost. She just happens to have been born – in Murcia, Spain – a woman who wanted to win, not a man. Her background is steeped in motorcycling, with her father a race mechanic to one David de Gea – who raced Hondas, Protons and WCMs in the grand prix world championship. Trying her hand at minibike racing, Ana started to win local championships and then took part in the talent-seeking Bancaja championships. Competing in the FIM CEV Championship, in the 125cc class in 2011, Ana was destined for the Spanish-centric MotoGP paddock, but had one more year of national competition to conclude in the CEV Moto3 championship. 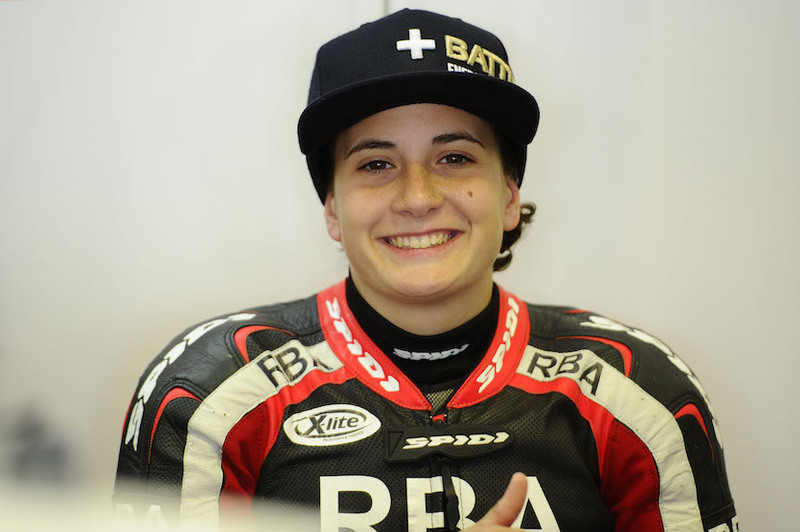 Riding a LaGlisse KTM in Moto3 in 2013 Carrasco became the first female to score points in that class, and then finished the year at home in Valencia with a season best of eighth. 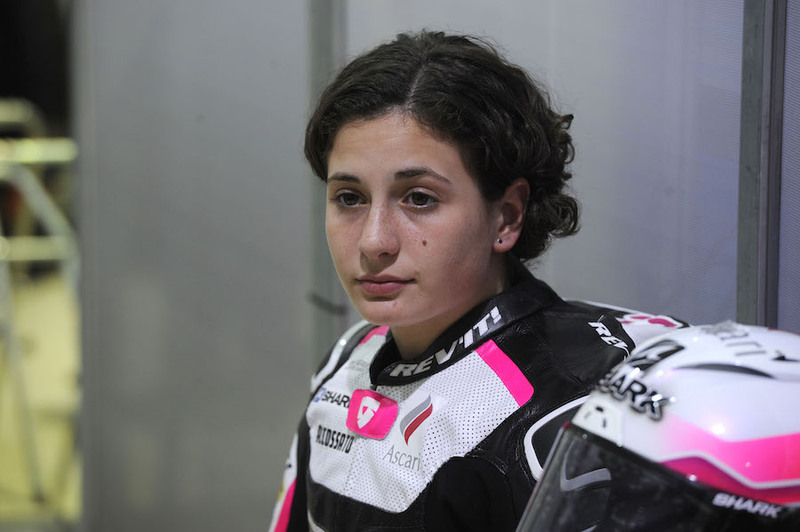 Riding for the RW GP Moto3 team in 2014, bizarrely alongside her eventual 2018 rival Scott Deroue, Ana found it more difficult, scored no points and was forced to miss the final few rounds. A year with RBA KTMs in 2015 proved no less challenging for many reasons, including one pre-season and one post-season injury. She has currently made 46 Moto3 starts, so you can understand that Carrasco came to the WorldSSP300 championship far from a racing newbie. With GP misfortune following her so harshly in 2015, she opted to return to Spain and the CEV Moto2 championship. Moving to the much bigger Moto2 machinery in 2016 it was such a difficult season she couldn’t score points there either, not to be down trod by the naysayers, a change of class was required. She joined the Spanish technical college team, ETG Kawasaki, in WorldSSP300 in 2017. In a super-competitive class and the 300cc Kawasaki fitted her small frame better. 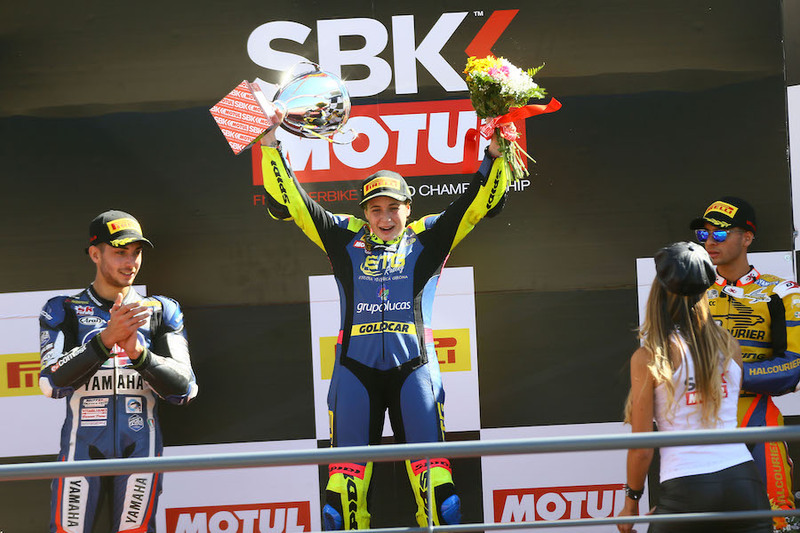 After a great slipstreaming last-lap pounce at the Portuguese round at Portimao, Carrasco made some major history with a first win for a woman in a full FIM World Championship solo race. And she deserved it for vexing the young he-wolves she was constantly surrounded by. Everybody – and I mean everybody – took notice. But few would have possibly imagined that she would win two more races in 2018, and with it the world title. Her official fan club has several more members nowadays. And quite rightly so, because she and her team were more adept than any of her immediate challengers in learning the old racing adage of ‘to finish first, first you must finish’. Some of her point scores were small, but every single one of them counted when it mattered most, at Magny Cours in late September. 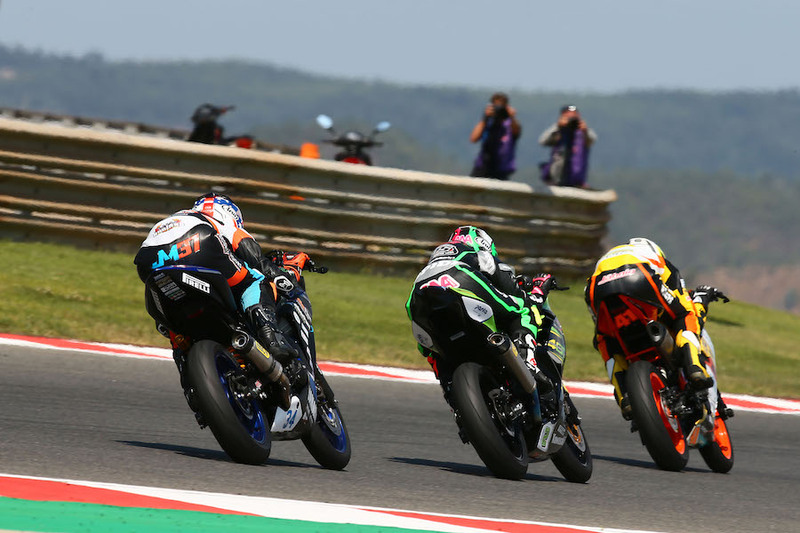 At 21-years old Ana Carrasco’s record-breaking World Championship win in the red hot WorldSSP300 class was all a bit too much for her to take in at first. But after all the TV appearances, blanket media coverage and interest from new outlets that normally would not touch bike racing with a bargepole dipped in a cauldron of gentle moral panic, Carrasco is under no illusions about what she had done. 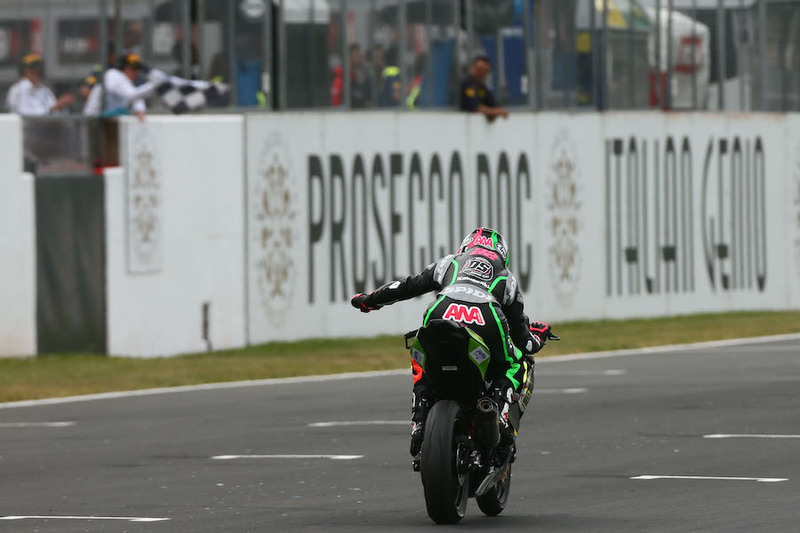 But from that first champions’ interview at Magny Cours only a few hours after taking a thrilling series win, gritting her teeth and riding for precious points, she was just happy to have proved herself a winning racer. Gender considerations were not considered. The obvious question in this highly blokey sport is how the boys feel about it. Carrasco was not exactly keen on canvassing anybody’s opinion. “I do not know, maybe you have to ask them, because I do not know. I just ride and for me this is normal. I want to be a normal rider here and I always say the same,” she said. Closing out her season of two halves, it was not looking good for Carrasco at the final round. In the race, keeping on keeping on and making slow but vital progress to an eventual 13th-place finish was just enough. As the world could see on TV, Carrasco was probably the last person in France to know she had won the title. What made her year eventually almost too hard was another rule change at mid-season. The sudden judicial arrival of way too many kilos of ballast made her bike heavier, but also less easy to ride. She knows what her most challenging opponent was, finally. “The difference was the rules, for sure,” she said. “After Donington, Dorna changed the rules so we had to ride with 14 kilos more than at the beginning of the season. This was difficult for us to work with, this and to find a good set-up on the bike because we have so many kilos, so the bike works differently. So it is difficult for me to ride like this and also it is more difficult for the team, to find a set-up. It was so hard to arrive in a good way, and the situation was difficult to manage. 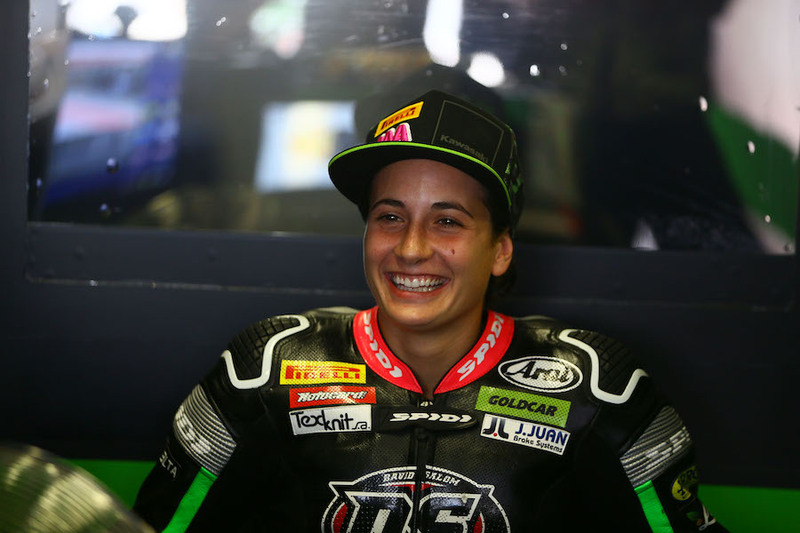 As well as her team’s and her own ambitions being fulfilled, beating the world allowed Ana to keep a promise she made to herself after losing her friend Luis Salom to a racing accident. Ana Carrasco changed the world in 2018 – and also changed the rules of the class after she upset the otherwise competitively contested apple cart. 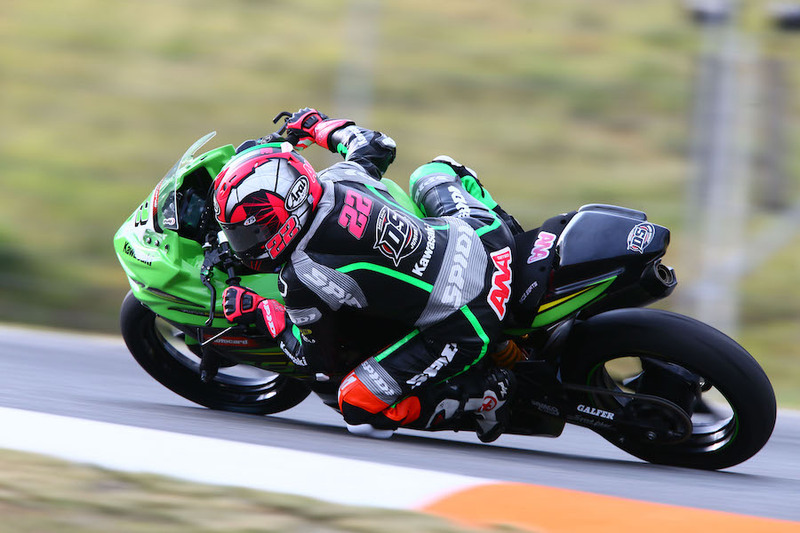 With a potent new 400c Kawasaki, well sorted by her DS team and with some help from the official KRT squad, Carrasco’s light frame and heavy talent saw her win by a transcendent 13 seconds at Imola and 4.6 seconds at Donington. Light years in this class. Now, after her breakout first win at Portimao in 2017, everybody knew how good Carrasco was. She may not be able to muscle the bikes around like some, but her small body actually allowed her a real advantage in some ways this year, in a class where even 1hp or a few kilos can make an enormous difference. So, as well as balancing the bike performance through the year, the FIM finally decided to bring in a minimum combined rider and bike weight in for Brno, which suddenly took away one of Ana’s main plusses. It also upset her previous well-balanced chassis set-up. In the first four rounds Ana scored 73 points. After the weight changes she scored just 20 points over the final four rounds, and won the title by just a single point. 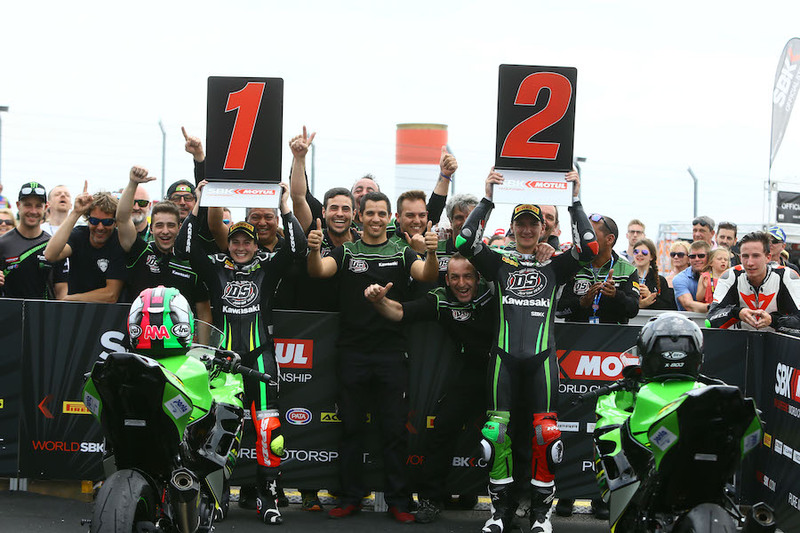 The WorldSSP300 Championship, now in its second year of life, attracted riders from all over, including Australia and other far-flung locations beyond the Europe-only location of the racetracks. Competing manufacturers ran to four. After a blizzard of early season and mid-season rule changes, competitive manufacturers finally ran to three. Honda was the odd one out. Not all manufacturers, or even riders, were to be competitive at the same time – although competitive it surely was in almost every race of the season. In the beginning the 390cc KTM and the then-new Ninja 400 trounced the 300cc Yamahas. Then the rules changed to allow Yamaha and Honda to rev higher, and also play around with their intakes. Combined minimum rider machine and weight limits were brought in at Brno to make sure that the full-grown men could have some parity with the lightest boys or women. It was 205kg for Yamaha, 208kg for KTM and 215kg for both Honda and Kawasaki. But no matter the rules, the racing was so cutthroat and open that podium dogfights developed into massive land trains. Eight riders in 0.8 seconds after round one in Spain. The top seven in 1.7 seconds at Assen. Even when Carrasco ran away to win by miles at Imola, the other podium battles were always outrageous in their numbers and unpredictability.